Special Speaker - At Zion Baptist Fellowship Church, God's Will Is Our Desire For You ! 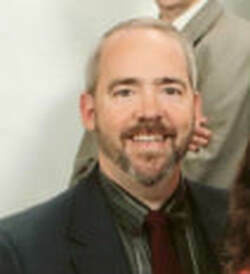 prophecy, has led to the development of the Walk Through Time conferences that he conducts across the nation. Brother Raub is a missionary to the U.S. Military. He and his family have been a tremendous blessing to our church, through his preaching and their ministry in music, over the past several years.We encourage you to let God speak to you, as you listen to this series of messages. 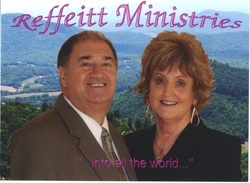 Sunday September 4, Brother Richard Reffeitt and his wife Loretta were with us all day. Sister Loretta encouraged us with songs and brother Reffeitt preached to us the much needed, Word of God. Please take this opportunity to share in this blessing with us. Brother Jarrett (" Brother Strong Remarks ") is my first Pastor. 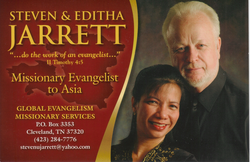 He is also a seasoned missionary to the prison ministry and currently is following God's direction to reach Asia with the Gospel. I hope that you will avail yourself of his preaching to us for this week. I'm sure that you will be challenged by his preaching ! Sunday, November 13, Dr. Robert Keeton, a Long time friend, blessed us with the preaching of the Word of God. Brother Keeton is the Director of Education for the Rock of Ages Prison Ministry. He has been a missionary with Rock of Ages Ministries for over 22 years. He oversees the College of Biblical Studies and Theological Seminary, the Rock of Ages Discipleship Institute, and conducts specialized, advanced training sessions for missionaries in the United States and abroad.The altar was full during each invitation time. Please take some time to listen to this preacher of God's Word. Our prayer is that God will Speak to you as He did to us!